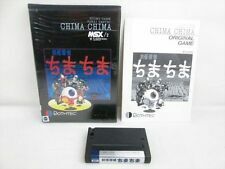 there is any programmer that had never used forth language for msx? Another question.. i found in internet only the tape version.. but i looked that exist cartdrige version.. no one had never looked this cartdrige.. exist a dump?? Or it is a prototipe? Do you know this forth? Kuma forth seem for me a direct conversion of Fig-Forth language with no MSX library..
Now the problem.. if one must learn Forth Language for MSX and no have all command for use the computer in all function no have sense use this language.. I won't learn Forth language because the program when is finished is more seem at assembler power .. 90%.... but in this mode (ever if i had reason) is more difficult use it.. 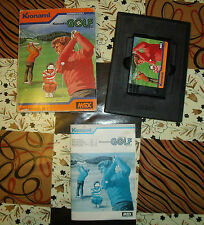 Here must be a people that know well assembler MSX machine and built graphics, Sound and I/O disks routine how Forth library.. in this mode one can have power of assembler and more easy in programming..
Maybe exist another software house that had created a Forth language version for MSX with graphics,sound,I/O, ecc.. command built in?? 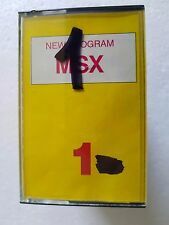 I hope found here in this forum people that now or years ago used forth language for msx.. If for you can be an help i used RuMSX emulator and how lession i read leo brady book and Kuma forth book.. Sorry, I've never written a Forth program. Take a look at uguide2.doc, I saw commands like "DRAW" and "PALETTE" there. I try at read Japanise document.. but no understand it.. just in english for me is difficult.. For me is good if one contact a.hiramatsu (creator H-forth) looked if he speak foreing language like english and one had a new version of manuals in english..